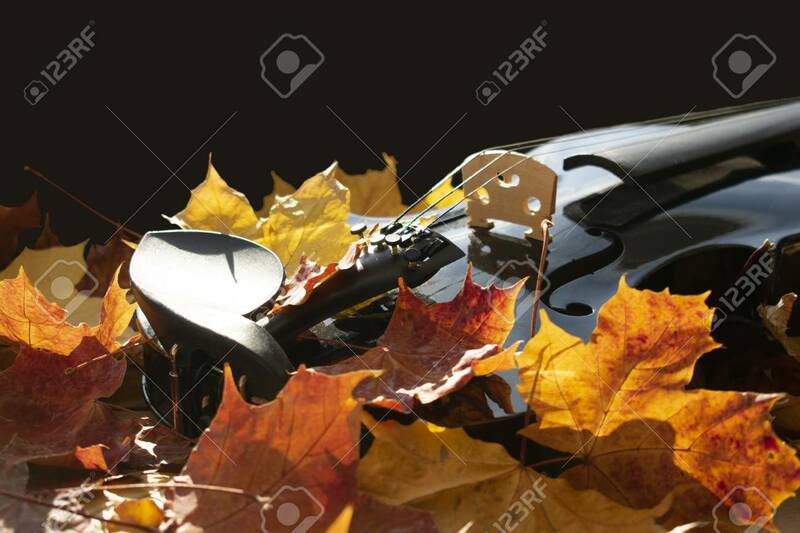 Autumnal Picture With Maple Leaves In Bold Colors And The Detail Of A Black Violin. Close-up In Natural Sunlight Lizenzfreie Fotos, Bilder Und Stock Fotografie. Image 110710615.